Kilo Sour Series previously known as Bazooka Sour Straws. The lip puckering sour vape juice is packed with sugary sour notes, with the perfect balance of tangy and sweet. 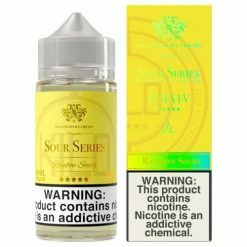 Kilo Sour Series offers a delicious all day vape and a tangy taste sensation. Indulge in this satisfying treat today, you wont regret it! 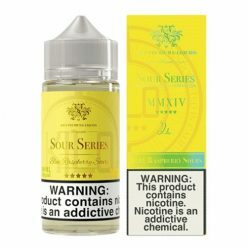 Kilo E-liquids is one of the most popular brands on the current market, they are known for their flavour packed e-juices. They have created a variety of different collections which include, Black, White, Moo, Sour, and their Original Series. They are the ultimate experts at creating a variety of different flavour fusions. Some of their flavours include silky milk fused with fruit, creamy dessert, fruity combinations, and now sour candies!